We are modern web technology experts. Let us support and advise you. We will build your vision. At the core of every business lies data. We believe in open source and freedom. We contribute software to the open source community. We keep up to date so that you don't lose sleep. It's simple and downloads torrent files with ease. It can download torrents directly to your Downloads folder and can handle large files (multi-gigabyte files) with ease. It is designed specifically for Google ChromeOS and runs fine on lower end ARM Chromebooks. 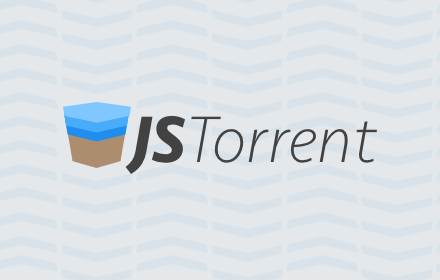 "When it seemed that Chromebook was limited to web browing and little more, JSTorrent comes in and makes it a very powerful and complete gadget. A must have to all downloaders"
Web Server for Chrome is an app for Google Chrome™. It runs anywhere that you have Chrome installed, so you can take it anywhere. It even works on ARM chromebooks. It now has the option to listen on the local network, so other computers can access your files. Additionally, it can try and get an internet address. Many people use this to do basic web development on a chromebook. It is also handy for sharing files over a local network between computers, or even on the internet. MP4Cast is an app for Google Chromecast™. With it, you can stream your locally stored video files directly to your Chromecast. Other solutions can result in choppy, unplayable videos. With MP4Cast, you can cast full HD 1080p content with no lag and no stuttering. It runs on any full Chrome browser, Mac, Windows, Linux, ChromeOS, and runs fine even on lower end ARM Chromebooks. © Graehl Arts, 2014. All Rights Reserved.